Nahum Barnea, a leading Israeli commentator, writing in Yedioth Ahronoth in May (in Hebrew), set out, unambiguously, the ‘deal’ behind Trump’s Middle East policy: In the wake of the US exit from JCPOA [which occurred on 8 May], Trump, Barnea wrote, will threaten a rain of ‘fire and fury’ onto Tehran … whilst Putin is expected to restrain Iran from attacking Israel using Syrian territory, thus leaving Netanyahu free to set new ‘rules of the game’ by which the Israel may attack and destroy Iranian forces anywhere in Syria (and not just in the border area, as earlier agreed) when it wishes, without fear of retaliation. This represented one level to the Netanyahu strategy: Iranian restraint, plus Russian acquiescence to coordinated Israeli air operations over Syria. “There is only one thing that isn’t clear [concerning this deal]”, a senior Israeli Defence official closest to Netanyahu, told Ben Caspit, “that is, who works for whom? Does Netanyahu work for Trump, or is President Trump at the service of Netanyahu … From the outside … it looks like the two men are perfectly in sync. From the inside, this seems even more so: This kind of cooperation … sometimes makes it seem as if they are actually just one single, large office”. “championed Mohammed as a reformer poised to usher the ultraconservative, oil-rich monarchy into modernity. Kushner privately argued for months, last year, that Mohammed would be key to crafting a Middle East peace plan, and that with the prince’s blessing, much of the Arab world would follow”. “who pushed his father-in-law to make his first foreign trip as president to Riyadh, against objections from then-Secretary of State Rex Tillerson – and warnings from Defense Secretary Jim Mattis”. Well, now MbS has, in one form or another, been implicated in the Khashoggi murder. Bruce Riedel of Brookings, a longtime Saudi observer and former senior CIA & US defence official, notes, “for the first time in 50 years, the kingdom has become a force for instability” (rather than stability in the region), and suggests that there is an element of ‘buyer’s remorse’ now evident in parts of Washington. The ‘seamless office process’ to which the Israeli official referred with Caspit, is known as ‘stovepiping’, which is when a foreign state’s policy advocacy and intelligence are passed straight to a President’s ear – omitting official Washington from the ‘loop’; by-passing any US oversight; and removing the opportunity for officials to advise on its content. Well, this has now resulted in the Khashoggi strategic blunder. And this, of course, comes in the wake of earlier strategic ‘mistakes’: the Yemen war, the siege of Qatar, the Hariri abduction, the Ritz-Carlton princely shakedowns. To remedy this lacuna, an ‘uncle’ (Prince Ahmad bin Abdel Aziz) has been dispatched from exile in the West to Riyadh (with security guarantees from the US and UK intelligences services) to bring order into these unruly affairs, and to institute some checks and balances into the MbS coterie of advisers, so as to prevent further impetuous ‘mistakes’. It seems too, that the US Congress wants the Yemen war, which Prince Ahmad consistently has opposed (as he opposed MbS elevation as Crown Prince), stopped. (General Mattis has called for a ceasefire within 30 days.) It is a step toward repairing the Kingdom’s image. MbS remains – for now – as Crown Prince. President Sisi and Prime Minister Netanyahu both have expressed their support for MbS and “as U.S. officials contemplate a more robust response [to the Khashoggi killing], Kushner has emphasized the importance of the U.S.-Saudi alliance in the region”, the Washington Post reports. MbS’ Uncle (who as a son of King Abdel Aziz, under the traditional succession system, would be himself in line for the throne), no doubt hopes to try to undo some of the damage done to the standing of the al-Saud family, and to that of the Kingdom. Will he succeed? Will MbS accede now to Ahmad unscrambling the very centralisation of power that made MbS so many enemies, in the first place, to achieve it? Has the al-Saud family the will, or are they too disconcerted by events? And might President Erdogan throw more wrenches into this delicate process by further leaking evidence Turkey has, if Washington does not attend sufficiently to his demands. Erdogan seems ready to pitch for the return of Ottoman leadership for the Sunni world, and likely still holds some high-value cards up his sleeve (such as intercepts of phone calls between the murder cell and Riyadh). These cards though are devaluing as the news cycle shifts to the US mid-terms. Time will tell, but it is this nexus of uncertain dynamics to which Bruce Reidel refers, when he talks of ‘instability’ in Saudi Arabia. The question posed here, though, is how might these events affect Netanyahu’s and MbS’ ‘war’ on Iran? May 2018 now seems a distant era. Trump is still the same ‘Trump’, but Putin is not the same Putin. The Russian Defence Establishment has weighed in with their President to express their displeasure at Israeli air strikes on Syria – purportedly targeting Iranian forces in Syria. The Russian Defence Ministry too, has enveloped Syria in a belt of missiles and electronic disabling systems across the Syrian airspace. Politically, the situation has changed too: Germany and France have joined the Astana Process for Syria. Europe wants Syrian refugees to return home, and that translates into Europe demanding stability in Syria. Some Gulf States too, have tentatively begun normalising with the Syrian state. The Americans are still in Syria; but a newly invigorated Erdogan (after the release of the US pastor, and with all the Khashoggi cards, produced by Turkish intelligence, in his pocket), intends to crush the Kurdish project in north and eastern Syria, espoused by Israel and the US. MbS, who was funding this project, on behalf of US and Israel, will cease his involvement (as a part of the demands made by Erdogan over the Khashoggi murder). Washington too wants the Yemen war, which was intended to serve as Iran’s ‘quagmire’, to end forthwith. And Washington wants the attrition of Qatar to stop, too. These represent major unravelings of the Netanyahu project for the Middle East, but most significant are two further setbacks: namely, the loss of Netanyahu’s and MbS’ stovepipe to Trump, via Jared Kushner, by-passing all America’s own system of ‘checks and balances’. The Kushner ‘stovepipe’ neither forewarned Washington of coming ‘mistakes’, nor was Kushner able to prevent them. Both Congress and the Intelligences Services of the US and UK are already elbowing into these affairs. They are not MbS fans. It is no secret that Prince Mohamed bin Naif was their man (he is still under ‘palace arrest’). Trump will still hope to continue his ‘Iran project’ and his Deal of the Century between Israel and the Palestinians (led nominally by Saudi Arabia herding together the Sunni world, behind it). Trump does not seek war with Iran, but rather is convinced of a popular uprising in Iran that will topple the state. And the second setback is that Prince Ahmad’s clear objective must be other than this – instability in, or conflict with, Iran. His is to restore the family’s standing, and to recoup something of its leadership credentials in the Sunni world, which has been shredded by the war in Yemen – and is now under direct neo-Ottoman challenge from Turkey. The al-Saud family, one may surmise, will have no appetite to replace one disastrous and costly war (Yemen), with another – an even greater conflict, with its large and powerful neighbor, Iran. It makes no sense now. Perhaps this is why we see signs of Israel rushing to hurry Arab state normalisation – even absent any amelioration for the Palestinians. Nehum Barnea presciently noted in his May article in Yediot Ahoronot: “Trump could have declared a US withdrawal [from the JCPOA], and made do with that. But under the influence of Netanyahu and of his new team, he chose to go one step further. The economic sanctions on Iran will be much tighter, beyond what they were, before the nuclear agreement was signed. 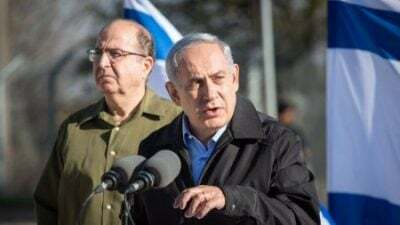 “Hit them in their pockets”, Netanyahu advised Trump: “if you hit them in their pockets, they will choke; and when they choke, they will throw out the ayatollahs””. This was another bit of ‘stovepiped’ advice passed directly to the US President. His officials might have warned him that it was fantasy. There is no example of sanctions alone having toppled a state; and whilst the US can use its claim of judicial hegemony as an enforcement mechanism, the US has effectively isolated itself in sanctioning Iran: Europe wants no further insecurity. It wants no more refugees heading to Europe. Was it Trump’s tough stance that brought Jong Un to the table? Or, perhaps contrarily, might Jong Un have seen a meeting with Trump simply as the price that he had to pay in order to advance Korean re-unification? Was Trump warned that Iran would suffer economic pain, but that it would nonetheless persevere, in spite of sanctions? No – well, that’s the problem inherent in listening principally to ‘stovepipes’.